Burger King and PepsiCo are teaming up in Latin America to demonstrate the friendly authenticity of their brands, creating a humorous contrast to their biggest competitors in a video called "Rechazado" ("Rejected"). The video features a group of genuine but ordinary-looking actors, who have really gone on casting calls for ads for rival brands of cola and fast food and not gotten the job. They then end up at a very different gathering, where they are welcomed with hamburgers, fries and soda from Burger King and Pepsi. The disappointed actors describe their experience with the rival brands, who were looking for the perfect families, exaggerated happiness and extreme beauty that only exist in TV commercials. One young man said he was told to smile and smile "but I guess they didn't think I was cool enough." Another woman said her hands looked too big holding those other burgers. It turns out Burger King and Pepsi are holding a casting session of their own, and the words "So we hired them all" appear on screen. Everyone sits around happily, enjoying their burgers and fries on Burger King tray liners, next to bottles of Pepsi. The focus is always on the actors, who talk about feeling more like themselves now. The brand drives home the point with the onscreen message "Why would you choose a brand that wouldn't choose you?" 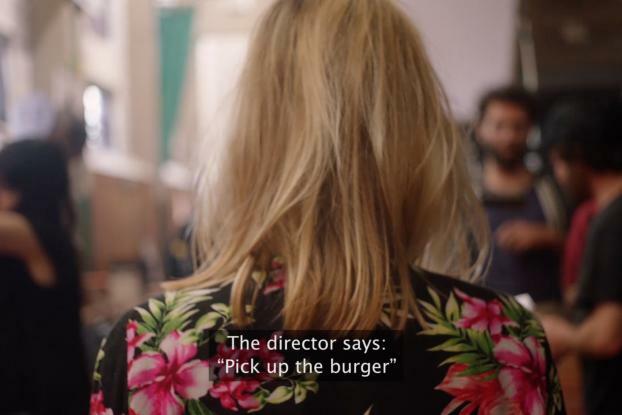 "We are a brand about authenticity of food and people; we welcome everybody, so we like the imperfection, and we work hard to be close to our guest in all the touch points," said Lucina Cabrejas, Burger King's marketing director in Argentina. "That includes our communication, and the way we approach [customers]. "Rejected" captures that spirit." The 2 minute video just started running in Argentina in social media and will also be used in cinemas, and is likely to be used in other countries in Latin America. It was created by We Believers, a small New York shop co-founded two years ago by Gustavo Lauria, who is Argentine, and Marco Vega, a Mexican. We Believers won the assignment with its insights into the two brands' shared values, and the clever twist of contrasting Burger King and Pepsi with their biggest rivals (who are never named, due to rules in Argentina against comparative advertising). "We chose the value shared by both brands: authenticity, always with the sense of humor that is characteristic of both brands," Ms. Cabrejas said. "We have a relationship going back more than 10 years together in Argentina, but we had never developed a campaign using the DNA of each in such an insightful way." "We aim to challenge with humor the status quo," said Martin Watson, soft drinks marketing senior manager at PepsiCo Beverages Argentina.